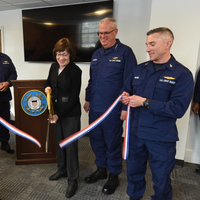 Coast Guard Sector Northern New England officially opened a new 24-hour command center Wednesday in South Portland, Maine.Sen. 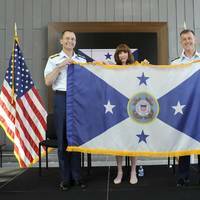 Susan Collins, Atlantic Area Commander Vice Adm. Scott Buschman, and First District Commander Rear Adm. Andrew Tiongson were all on hand for the ribbon cutting ceremony. The command center is the hub for all Coast Guard operations across Maine, New Hampshire, Vermont and parts of New York. Located at Coast Guard Base South Portland, the command center's exterior remained the same, but the interior is completely new. Energy.It seems that energy touches every aspect of our lives from heating our homes to ensuring that fresh produce is available at grocery stores. 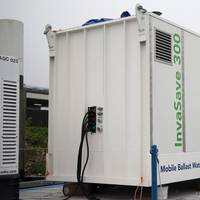 It powers our cars and allows industry to move products around the world. 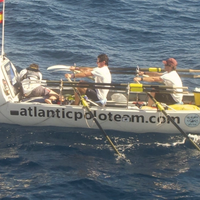 The connection between energy and risk to the maritime environment has been a growing area of discussion, research and analysis. The United Kingdom’s Royal Navy, within its Joint Doctrine Publication (JDOP 0-10) 5th edition UK Maritime Power, captured this issue superbly: “Fossil fuels and minerals are an important resource in the maritime environment. New deposits of oil and gas, as well as mineral wealth, are discovered under the seabed each year, and improvements in technology will facilitate future exploitation. 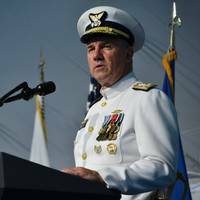 U.S. Coast Guard Vice Adm. Charles Michel formally assumed the role of vice commandant of the Coast Guard during a ceremony at U.S. Coast Guard Headquarters Monday. 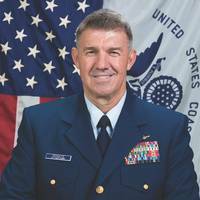 As vice commandant, Michel will oversee the Coast Guard’s operations, strategic development, organizational governance and management of the service’s more than 58,000 employees and 30,000 volunteers. 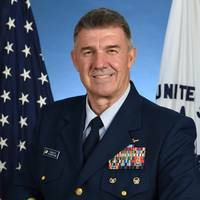 "I am humbled and honored to be given this important opportunity to further serve the American people and the men and women of the United States Coast Guard,” said Michel. 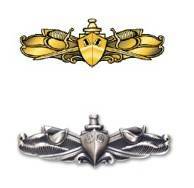 Coast Guard Cmdr. 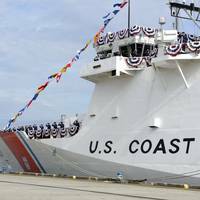 Craig J. Wieschhorster took command of the medium-endurance Cutter Mohawk during a ceremony Thursday at Coast Guard Sector Key West. 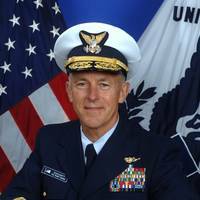 Coast Guard Atlantic Area chief of staff, Capt. 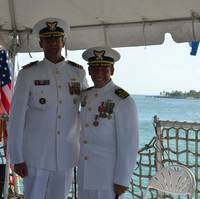 Doug Fears presided over the change of command ceremony as Wieschhorster relieved Cmdr. Adam B. Morrison of the duties and responsibilities as 14th commanding officer of the Cutter Mohawk. “Although I leave the Cutter Mohawk with a heavy heart,” said Morrison, “I have trust in Cmdr. Morrison was awarded a Meritorious Service Medal recognizing his service and performance of duty. U.S. and Canadian military personnel and government civilian agencies are scheduled to participate in Exercise Frontier Sentinel 14 from Friday through Oct. 24. 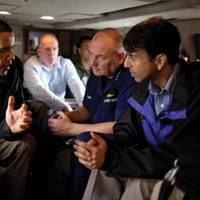 The full-scale exercise is the final phase of a three-part scenario that focuses on maritime homeland security. FS 14 is a combined U.S. Coast Guard Atlantic Area, Canadian Joint Task Force Atlantic, and U.S. Navy Fleet Forces Command exercise designed to test the coordinated response against a maritime threat to North American ports. 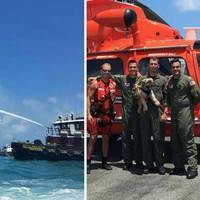 “This exercise tests the ability of U.S. Coast Guard, Navy, Canadian forces and civilian agencies to successfully respond to a complex maritime threat to the homeland," said Vice Adm. William Lee, Coast Guard Atlantic Area commander. 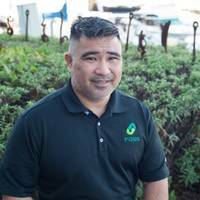 Cruise Lines International Association (CLIA) says that Hall brings maritime and piracy analytic experience to the association. 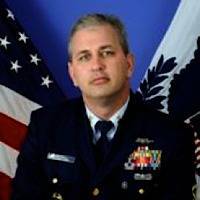 For the past three and a half years, Hall was Senior Analyst with the Homeland Security Studies and Analysis Institute (HSSAI), supporting DHS S&T, USCG Headquarters, USCG Atlantic Area, and the National Strike Force Coordination Center. CLIA adds that Hall specializes in maritime security. Prior to HSSAI, she was a research analyst in the Center for Naval Analyses' (CNA) Strategic Initiatives Group focusing on threats and issues pertaining to the global commons. Capt. 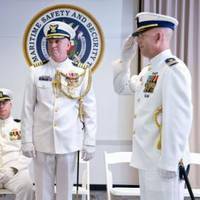 Kevin P. Gavin relieved Capt. Donna L. Cottrell as commanding officer of Coast Guard Helicopter Interdiction Tactical Squadron Jacksonville during a change of command ceremony at HITRON Friday. HITRON is America's first airborne law enforcement unit trained and authorized to employ airborne use of force and intercept go-fast vessels suspected of transporting illicit narcotics toward U.S. borders. During the ceremony, Vice Adm. Robert Parker, Atlantic Area commander, presented Cottrell with a Legion of Merit, highlighting many of her accomplishments. "Capt. The first big naval professional development event of the year, the Surface Navy Association’s 2014 Symposium, kicks off in Crystal City, Virginia, with the theme, “Surface Warfare…Warfighting First.” Leaders in the Navy, Marine Corps and Coast Guard will speak at the symposium and associated events starting Tuesday, January 14, 2014. The symposium kicks off with the SNA annual meeting and, focusing on the warfighters of today and the future, there will be a series of roundtables for junior officers, enlisted surface warriors and midshipmen from NROTC units and the Naval Academy. The Coast Guard Foundation, a non-profit organization committed to the education and welfare of Coast Guard members and their families, will hold its 20th annual tribute to the United States Coast Guard Seventh District on November 8th, 2013, at the Renaissance Vinoy Hotel in St. Petersburg, Florida. During the event, the Coast Guard Foundation will provide a special honor to the members of a Clearwater-based helicopter crew for the heroism, dedication and aviation professionalism they displayed on January 18, 2013 while saving the lives of seven mariners from the 170-foot research vessel Seaprobe, 230 nautical miles west of Clearwater, Florida.